A Look back at the year just finished, with our selections for KiteLife’s first annual awards. These awards are meant to recognize those that we felt “made a difference” in 1998. 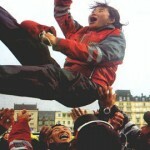 Winners were nominated and elected by a panel selected from the KiteLife staff. This beautiful Rokkaku, crafted by Sharon Musto, was the centerpiece of the sky at several major events in 1998. 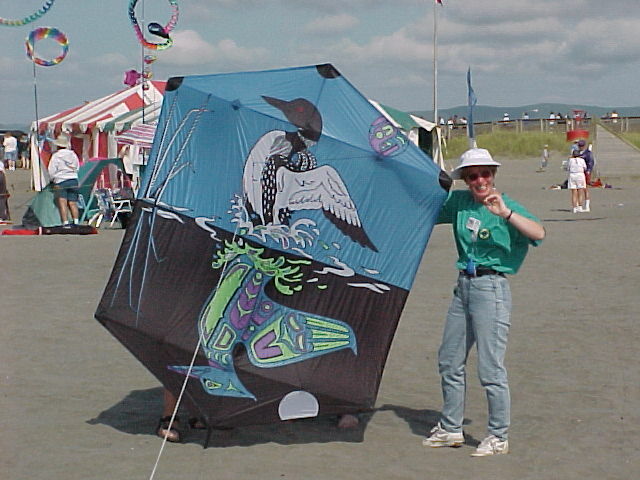 The loon design on the top half of the kite is mirorred in an aboriginal color scheme on the bottom half. This intriguing design invites close scrutiny, and is worthy of hanging in the exhibit hall of any art gallery. KL: How did you name the kite? SM: It’s called Northern Dancer, named for the loon’s movement and for the Northern Lights (Aurora Borealis). The loon on the top half appears to be dancing on the water, a natural behaviour. The colours used in the lower half of the design echo the blues, greens, and purples that dance in the Canadian night sky. The North West Coast design honours Canada’s aboriginal culture and heritage. KL: When did you start building it? When did you finish? SM: Like a baby, the idea for the image developed over many months. I finally started drawing it onto ripstop the first week of July (summer vacation) and completed it in 5 weeks. Being off work gave me big blocks of time to work on it, some days from morning until night, barely stopping to eat. KL: What was your inspiration for the graphic? SM: My inspiration came from multiple sources… I wanted the image to represent Canada and represent me. The loon is a Canadian symbol and I had been thinking about doing a loon rok for some time. I included the moons (the top one is a fish, for the loon’s diet), because I am a moon and sky gazer. My special number, 11, is manifested in the stripes on the loon’s neck. The graphic also hints at my affinity for opposites. KL: Briefly, how did you design the kite, please describe the process of turning thought into fabric. SM: I scoured books, the internet, greeting cards … for anything with a loon on it as well as anything with a Northwest Coast Aboriginal design. I sketched ideas over and over and over until I came up with something I was reasonably satisfied with. Since the heads and necks of the loons would extend into the top and bottom triangular sections and the appliqué would be crossing stressed seams, it was important to take those cuts into consideration at the drawing stage. I drew each loon onto large poster paper first, taped to the living room wall. I could stand back 25′ or so in the kitchen and see whether or not it ‘worked’. Still, the design continued to evolve as I began pencilling it on the fabric. KL: What awards has the kite won?? Any one of those awards stand out in your mind? KL: Is it true that Northern Dancer has a new owner? SM: Yes, it’s true, I traded kites with Graeme Poole of Australia. Graeme sent me one of his dragonfly kites. It was difficult to part with it … but I’m comforted knowing that it’s in good hands. KL: Sharon, thanks for your time. We are looking forward to your next project! Also nominated: Frank Schwiemann, the O-Dako team. Prism made everything go their way in 1998. They continue to innovate, and make their vision well-understood by their legions of proponents. The Prism website (http://www.prismkites.com) is one of the best commercial kiting sites on the Internet, and helped create a huge buzz around the design, testing, naming, and unveiling of their new precision and freestyle kites. Not since Top of The Line in the 70’s has an American company developed such a huge following of fervent believers. 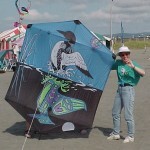 Prism is noteworthy for being one of the last of an almost extinct species – the American kite manufacturing company. As most of the others were killed off by competition from cheaper products made in Poland and China, Prism has developed their niche as the premier US manufacturer of high-end sportkites. This 17 year old, from suburban Dallas, Texas set the US sportkite scene on its ear in 1998. His slight build and red hair gave him the nickname “Matchstick”, and his verve and flair on the field led to the name “Champion”. Flying a Jeff Howard “Precisionist” to the theme music from “Mission Impossible”, Shane performs the highest-energy ballet routine we’ve seen. Impeccable choreography, pinpoint accuracy, and a whole bag full of great tricks made this ballet the highlight of the US sportkite arena. Our prediction: Shane Snowden will rank in the same category with Scott Augenbaugh, Bob Hanson, and Carl Robertshaw as one of the “greats”. 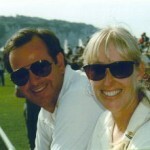 I am anxious for another Guadaloupe-style international meet – my money would be on Snowden for overall honors. I just hope that girls and fast cars don’t erode his interest in kiting! In the aftermath of the 1997 World Cup, it appeared that we likely would not see Aftershock contest another one. Many observers thought that their amazing ballet performance was the clear winner, the judges felt otherwise. Rumors were rampant that the “theft” of the Cup would result in the breakup of this talented six-pack. Luckily for us, this was not the case. Aftershock came to this year’s Dieppe festival loaded for bear, with their own camera crew and roadies, snazzy gear, and purpose-built aircraft. Solidly installed as the pre-event favorites, they faced wildly shifting winds in the precision discipline and placed only seventh. The top precision placers had sweet dreams that night, figuring on a nice, polite bar fight between themselves for the Cup, now that the Japanese threat had been neutralized. The Aftershock sextet had other ideas. The ballet discipline was also flown in abysmal conditions, with the team knowing what it would take to make up the seemingly insurmountable points deficit they faced. It would take one of the most awesome displays of team flying excitement in history, and, simply, that is what Aftershock delivered. This come-from-behind human interest drama ranks right up there with the great moments of any sport. Long live Aftershock! For one week each August, this little beach town can rightfully state that it is “The Kite Capital of the World” (though it makes that claim year-round). This festival is a must-attend for the serious kiter, owing to the huge beach, always great weather, and the wonderful camaraderie enabled by the relaxed schedule. Click HERE for our coverage of the festival. Written on stone somewhere are the words “Blessed are the Peacemakers”. On occasions when human diversity of thought leads to those “political” doings, Uncle David’s skills and many contributions to our sport become apparent. Dave has had a hand in most positive things that we have going for us, and has become a statesman within the sport, as well as an able ambassador to those outside of the sport. 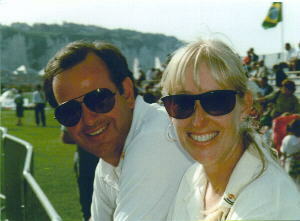 Susan has been a true partner in these endeavors, often working behind the scenes leaving David to handle the public end. The Gomberg’s never-ending volunteerism and support of the sport in all areas of the world make us proud to have them affiliated with KiteLife.com. 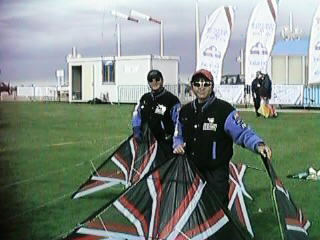 Visit their website at http://www.gombergkites.com. Have you ever tried to explain your involvement in kiting to your boss or mother-in-law? Try this trick. Hand them a recent issue of Kite Passion. Unless they are thick as a brick, they will spend at least a few minutes leafing through it, and be struck by the color and flavor of our pastime. KP’s first issue (two years ago) raised the bar for kite publications. Over the following months, they have broadened the scope of content, and improved the overall package from the level of great to that of outstanding. 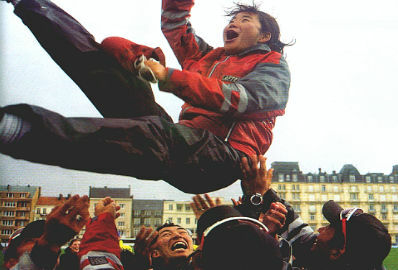 Kite Passion is the first and only publication that we can proclaim indispensible. You gotta get this magazine! Those in the USA will be happy to hear that KP is adding a section with coverage of American events and fliers. KP’s website at http://www.kitepassion.com has subscriber information for those in the UK and Europe; US folks go to http://www.novadesigngroup.com to subscribe. What will 1999 bring? Stay tuned to KiteLife for our view on things. Meet us here on January 1, 2000 for our next awards. Images courtesy of Collette Lemons, Robin Haas, David Gomberg, Prism, Kite Passion.